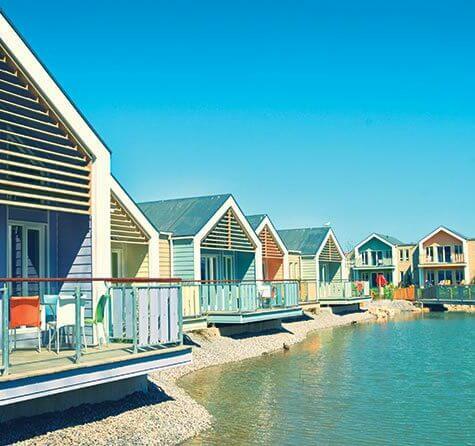 Situated next to the lake in our peaceful West Lakes Village, our Lakeside Chalets are all ground level and can sleep either 4, 6 or 8 guests and are complete with a veranda overlooking the lake, making them perfect place to rest after a busy day on resort. 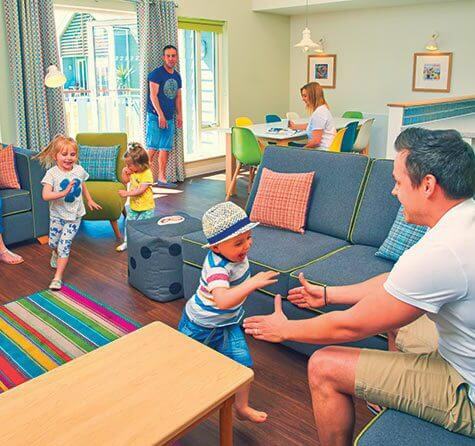 The biggest and best of our new style chalets at Butlin’s Minehead; our Lakeside Chalets remain loyal to the history of the traditional chalet with touches of of the 21st century. 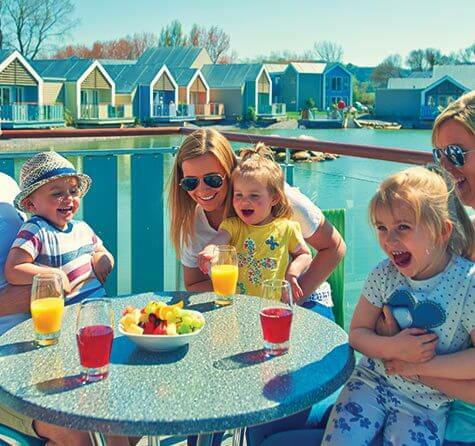 Available in your choice of 2, 3 or 4 bedrooms, all our Lakeside Chalets offer you and your family a peaceful, secluded place for you to relax on your break away. Featuring French doors that open onto a veranda with safety glass balustrade, these beautiful chalets offer uninterrupted views of the lake. Inside you’ll find a double height, open-plan living area with a family sofa, TV and DVD player, whilst the kitchen comes with a microwave and dishwasher, and the bathroom comes complete with towels and toiletries. Set within beautiful scenery, our 2 bedroom Lakeside Chalets are available with inter-connecting doors and feature the perfect space to relax with the veranda over the lake. 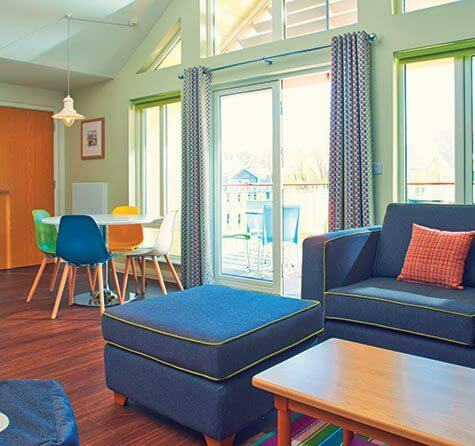 Perfectly placed next to our lake, the 3 bedroom Lakeview Chalets offer a perfect family space to stay and play. 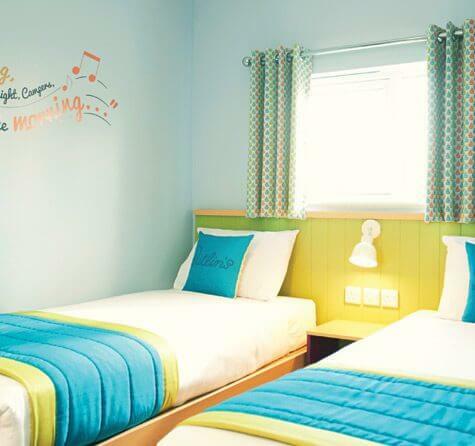 Enjoy the scenic beauty of the landscape and uninterrupted scenery with your own veranda over-looking the lake. Our 2 storey duplex-style Lakeside Chalets are our best new style chalets, offering the space and seclusion to rest and relax after a busy day on resort. Sit, reflect and enjoy quality family time on your personal veranda over-looking our lake. 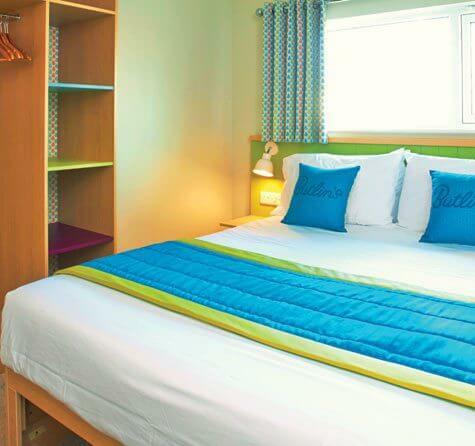 Our 4 bedroom chalets feature double height living areas that are ideal for families and groups.